Trident White Sugar Free Gum. Trident White Spearmint Sugar Free Gum. 9 – 16 pieces per pack. 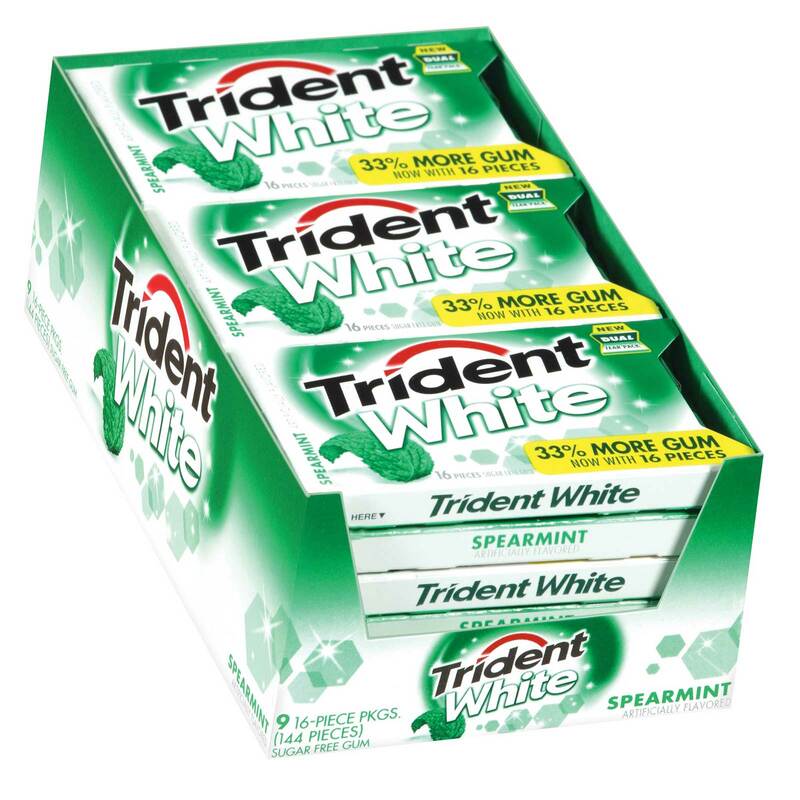 Order TRIDENT WHITE SPEARMINT in bulk at wholesale price at Volt Candy Online.